Backup TA can backup and restore the TA partition of the device. When you create a backup before unlocking for the first time, then you will be able to restore to full factory state (including a locked bootloader). This means all DRM keys intact, Bravia Engine working in Album and last but not least your warranty when needed . 1. Download the latest version of Backup TA. 2. Extract the ZIP file to a folder location of your choosing. 3. Navigate to the folder location of Backup TA. 4. Make sure no other script or application which is using ADB is running. 5. Make sure the device is booted in normal mode (the way you normally use it). To enter Vanilla CWM, you will need to use the NDRUtils app the recovery installed. Then inside */system/bin/ rename chargemon.stock to chargemon check its permissions (should be 755 or otherwise visible as -rwxr-x-r-x). Done! 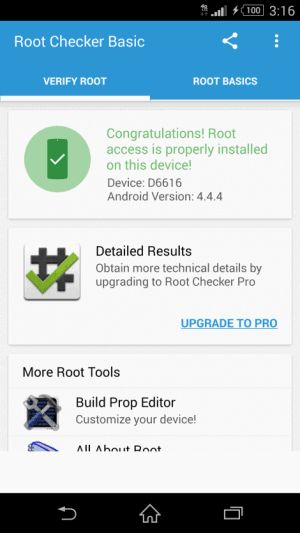 If you wish to remove XZRecovery from the PC method install easier, just reinstall XZDualRecovery using the XZRecovery APK method. 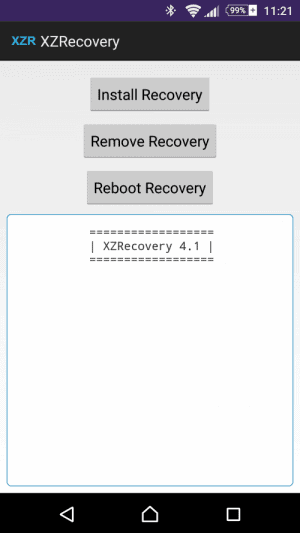 Then select the remove recovery option in the XZRecovery app. 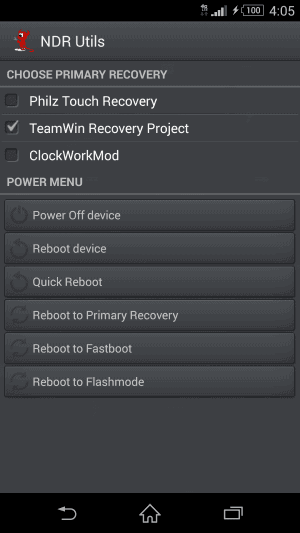 If you used the XZRecovery APK method simply select remove recovery option. 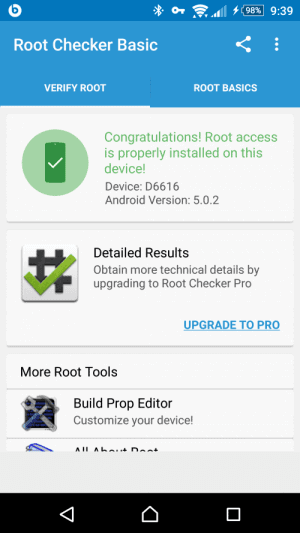 If your on 5.0.2 and have not rooted previously, go to step 3. All this is possible thanks to the following devs been sure to give them donations for all their hard work: zxz0O0, Keen Team, DevShaft, hqdvista, [NUT], Chainfire, MohammadAG, idler1984, RHBH, squabbi, minijaws, Kingxteam and Desperanto86. Last edited by 8BitBang on Thu Jun 04, 2015 8:40 pm, edited 1 time in total.